One month later and I am still so in love with the florals that Lauren put together for my wedding day! I had sent her a collage of the colours I wanted and she absolutely nailed it. The bouquets were huge and complimented the bridesmaid dresses so well. Lauren also created a beautiful hanging floral display at the reception venue for us. So many people commented on how amazing it looked. I would highly recommend her services to anyone. Thank you so much LAFD! Lauren put such effort into creating my dream florals and the results were amazing and exactly what I had hoped for! Not only beautiful bouquets but the sweetest unique buttonholes and a beautiful spray for our Bride & Groom chairs. She's dedicated to providing a personalised service - pulling together a brief based on any and all inspirational photos you send her. Warm, friendly and creative - totally recommend her services! We were blown away when arriving last night. Everyone commented on how beautiful your flowers were and how wonderfully you set up everything for the evening. All the girls took home your flowers at the end of the night and were so happy. You were so easy to work with and very reliable. I will definitely recommend you to family and friends. I just wanted to say thank you so much for our beautiful flowers on our wedding day! They were all seriously amazing. That arbor was out of this world and more then I had ever imagined. You did such a great job and were so easy to work with! Thank you so much for creating these amazing bouquets. Everyone couldn't stop commenting on them. They were bright and vibrant and everything i wanted. And i love that the succulents are now growing and make me think of these beautiful flowers and my wedding day when ever I look at them. Lauren was amazing. She dropped of to us and then went to set up at the venue. She then used our ceremony flowers and turned them into table settings and back drops in our reception. Her work is amazing and so well priced. Just wanted to say a huge thank you for the amazing florals you created for our wedding! They were absolutely spectacular and I have received so many compliments from so many people about how incredible they were! Thankyou for all your hard work in making our wedding so beautiful. Everything from the arbor, to the stunning table arrangements, to my beautiful bridal party bouquets were so elegant and well thought out. We honestly could not have been happier with your creation! Thankyou so much Lauren! Thank you sooooo much for the magnificent work you created for Zach and I's wedding. I had a picture in my head of how they'd look but they turned out 100x better. They looked INCREDIBLE! Lauren was awesome. I had no idea about flowers and she put the perfect bouquet together for myself and my bridesmaids. Such gorgeous bouquets. Communication was great throughout the whole process. So thankful. Amazing talent. Thank you so much LAFD. You guys outdid yourself with all the flowers and hanging greenery! We were so incredibly happy with the outcome and so stoked to have you apart of our special day! Love, love, love the flowers, arrangements and posies. I ordered flowers from Lauren Alyce for my own birthday and wedding anniversary. Whenever someone has received flowers from me by Lauren Alyce they absolutely love them. Thank you so much Lauren, our flowers were just perfect yesterday. You listened to what we asked for and you truly delivered. I ordered them last minute and they were delivered to my wife's office shortly after. The quality and value for money were incredible, my wife said they were the nicest flowers I’ve ever given her. This is definitely my new florist! The flowers for my wedding were absolutely perfect!! Exactly what I wanted. Lauren is an amazing Floral artist and couldn't recommend her enough!! THE BEST flowers on the Coast! We love asking Lauren to make up our arrangements when we need them because we know they are going to be perfect EVERY time! Lauren has an amazing talent and created amazing bouquets for a wedding I photographed in April! The flowers looked amazing all day!! I would recommend Lauren to anyone looking for spectacular wedding flowers, flowers for their events or a gorgeous posy as a gift! 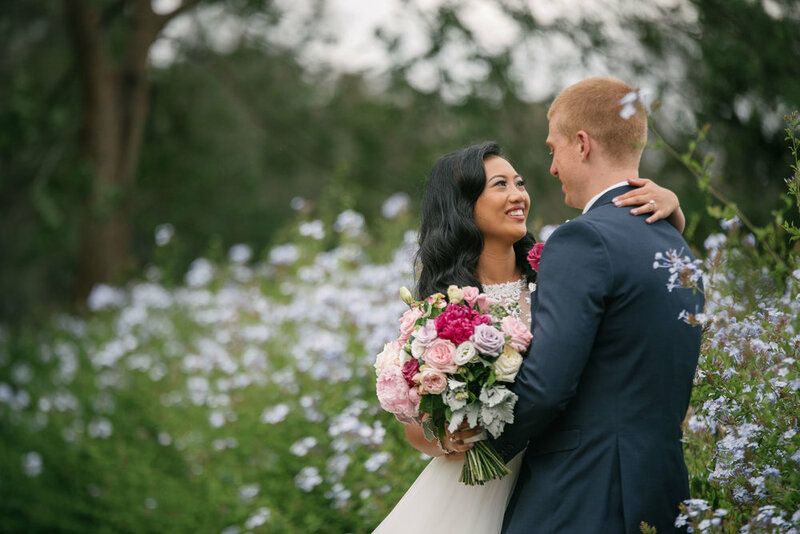 Lauren's bouquets are just gorgeous! So different with a wonderful eye for design and flower choice. Always very fresh and last a long time. My last bunch still looks great all dried out!! Strongly recommend her! A florist who actually buys and designs her own fresh original bunches. Devine, fresh, gorgeous arrangement & full of fragrance highly recommend. What a talented florist! Every bouquet she has made for me has been stunning and lasted for ages. Great value too. Highly recommend.